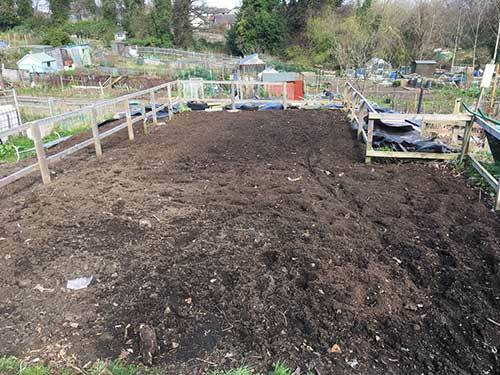 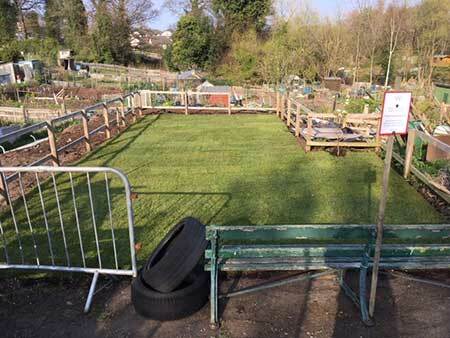 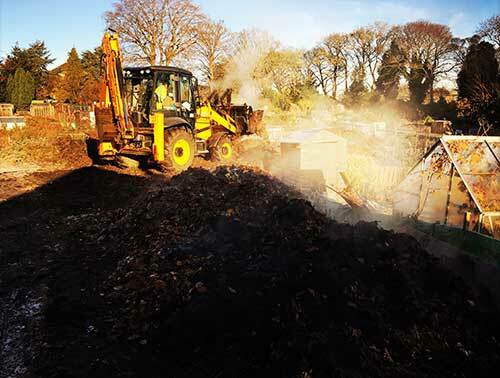 April 2019 update: Turfing will be completed by mid-April, clover seed sown round the boundary area and further planting (small fruit trees etc) is already underway. 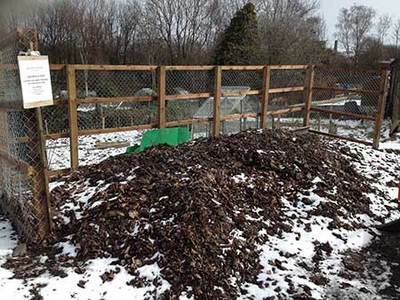 Following Edinburgh Council's JCB tidy up in early winter 2016, we cleared and covered the 'old leaf mould' area till spring 2019 in order to eliminate all those pesky perennial weeds (nettles, bindweed et al). 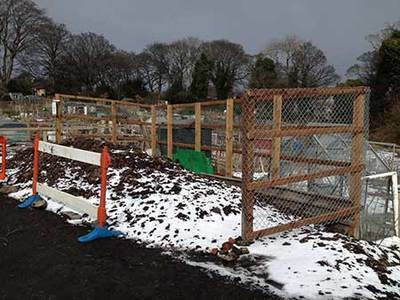 The 'old' leaf mold area has been fenced and is a work in progress - the area has been covered with turf and surrounding slopes will soon be seeded with clover. 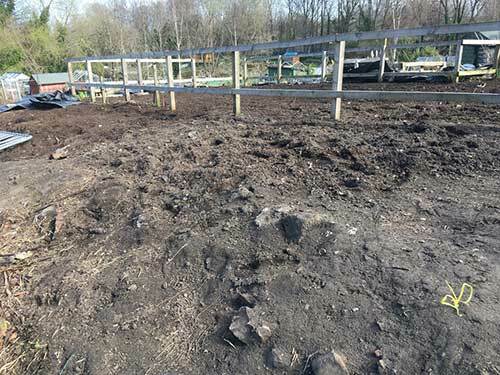 The turf will take at least 6 weeks to bed in thoroughly, requiring regular watering to help it establish and knit together. 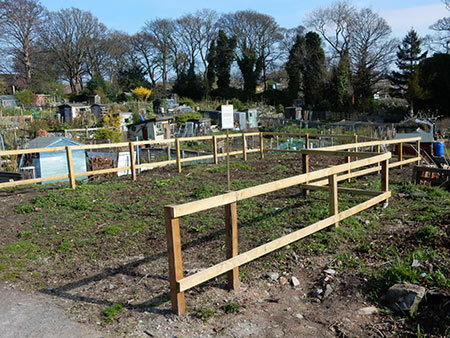 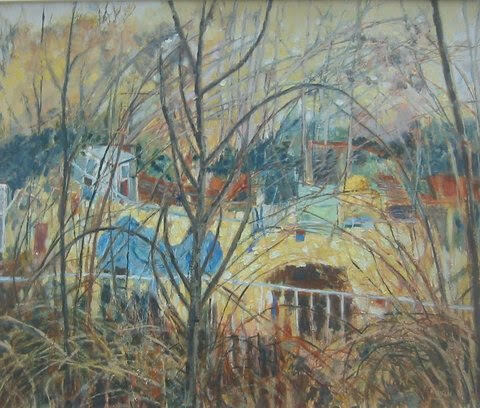 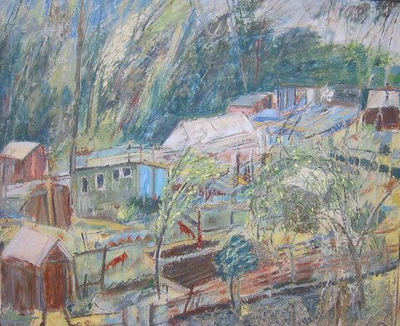 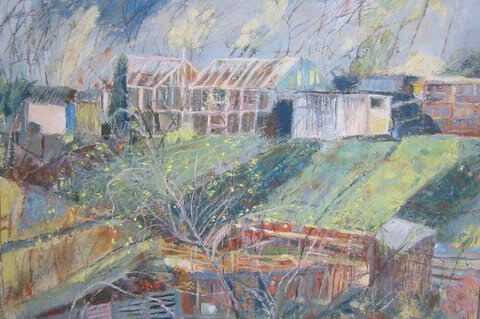 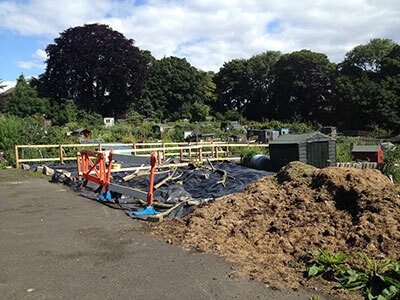 Kate Hajducka from Coburg House Studios has made drawings for years of Warriston Allotments from outside the site fence. 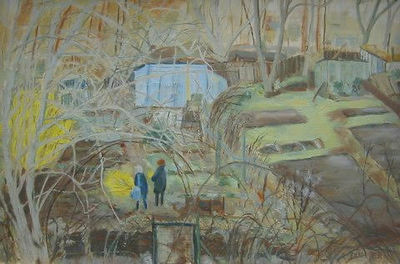 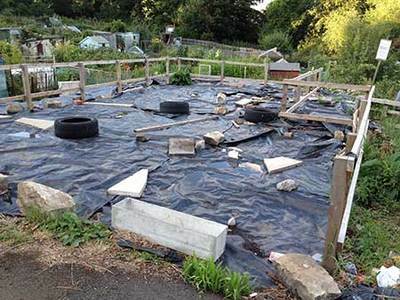 She now regularly visits a friend's plot to create work in all weathers and seasons. 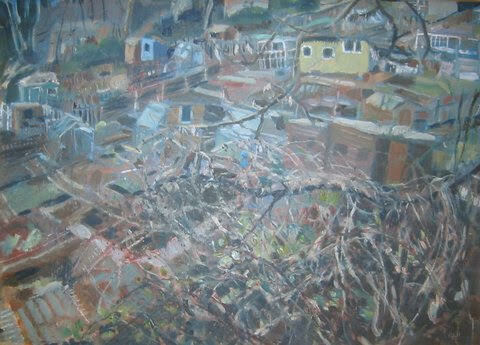 You can see some of her delicately rendered and atmospheric drawings below.